South Africa's flag carrier, South African Airways (SAA) and Brazilian carrier TAM Airlines have signed a codeshare agreement. South African Airways' code "SA" will be placed on flights operated by TAM from Sao Paulo to Rio de Janeiro, Porto Alegre, Curitiba, Brasilia, Salvador, Florianopolis, Iguaçu Falls, Recife, Belo Horizonte, while TAM Airlines' code "JJ" will be placed on flights operated by SAA between Sao Paulo and Johannesburg, and to other cities within South Africa, namely, Cape Town, Durban, East London and Port Elizabeth. To date, South African Airways operates 11 flights per week between Johannesburg and Sao Paulo. Tickets went on sale today (29 Aug 2013), with travel set to commence on 02 Sept 2013. TAM Airlines is the largest Brazilian airline company by market share and fleet size. The airline, which is headquartered in Sao Paulo, operates scheduled services to destinations within Brazil, as well as international flights to Europe and other parts of North and South America. African low-cost airline Fastjet announced the launch of flights between Dar Es Salaam and Mbeya, a city located in southwest Tanzania. Effective from 01 November 2013, the airline will operate three weekly flights on board an Airbus A319 between the two destinations. Reservations will open this week. Mbeya's airport, Songwe Airport (ICAO: HTGW), is located about 25km southwest of the city, off the A104 road. 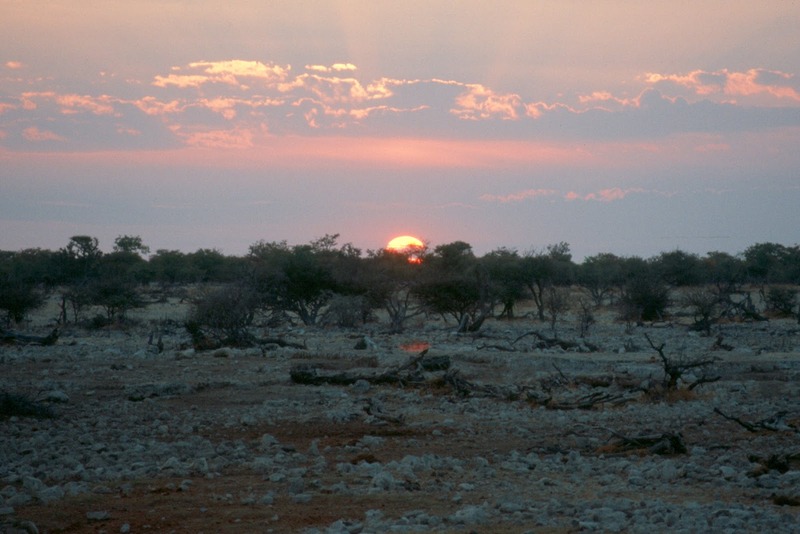 Namibia switches to daylight saving time on 01 September 2013. The Namibian time changes therefore from UTC+1 to UTC+2. The official time change will take place at 02:00am (from 02:00am to 03:00am). 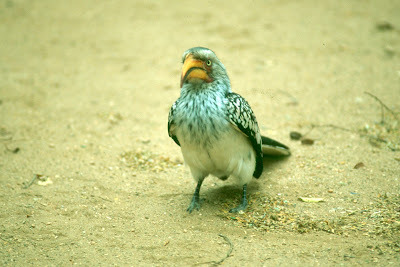 The time will not change in the Caprivi (Zambezi), as this area is not subject to summer and winter time changes. Daylight saving time in Namibia will end and summer time will beginn again on the first Sunday in April 2014 (6 April 2014). update (04 Dec 2013): Airlink will also operate afternoon flights between Johannesburg and Skukuza Airport in the Kruger National Park. From 01 Aug 2014, the airline will service the route with daily flights departing Johannesburg at 13:20 (arrival: 14:10) and Skukuza at 14:35 (arrival: 15:40). update (17 Sept 2013): Airlink initially planned to start flights between Johannesburg and Skukuza Airport in the Kruger National Park and between Cape Town and Skukuza Airport in March 2014. For some reasons plans have changed and the airline will now operate flights from 02 June 2014. Airlink's flights to Skukuza Airport are now available for sale. South African airline Airlink will launch flights to Skukuza Airport, located north of the Skukuza Rest Camp in the Kruger National Park, in March 2014. The Skukuza Airport Management Company (Pty) Ltd, jointly owned by Lion Sands, Federal Air and Airlink, therefore signed a Public Private Partnership (PPP) agreement with South African National Parks (SANParks) for a period of ten years. The PPP oversees the refurbishment and enhancement of Skukuza Airport runway and terminal building facilities to the international standards required to be able to handle airline traffic. Work on the construction and rehabilitation of Skukuza Airport will begin on 01 September 2013. It is envisaged that the upgrades should be substantially completed by 01 November 2013 to achieve the necessary licensing by the South African Civil Aviation Authority (SACAA). It is furthermore anticipated that the licensing process will be completed before the first quarter of 2014 with scheduled flights set to commence in March 2014. Airlink's initial scheduling includes a daily service to Cape Town, a twice daily service to Johannesburg's O.R. Tambo International Airport and eventually, flights to King Shaka International Airport in Durban. The Skukuza Airport was closed in 2001 after the SACAA did not renew the airport's operating licence. I just stumpled on this great and truly inspiring presentation by South African National Geographic Emerging Explorer Steve Boyes. In the 15 min video, Steve tells us about his work and experiences in the Okavango Delta in Botswana and his efforts to save one of the most endangered parrots on earth: the Cape Parrot. Get inspired & enjoy! South African airline SA Express has increased its flights between Johannesburg and Cape Town and between Johannesburg and Durban. Since 19 Aug 2013 and 23 Aug 2013 respectively, the airline operates extra flights on Fridays and Sundays between the three citys. SA Express is a domestic and regional passenger carrier in Southern Africa. Although operationally independent of the country's flag carrier South African Airways, SA Express' flights are incorporated within the strategic alliance with South African Airways and privately owned SA Airlink. Emirates Airlines has announced the reintroduction of the Boeing 777-300ER on its Dubai <> Cape Town route. Effective 01 Sept 2013, the airline will deploy the aircraft on its daily flights between the two destinations instead of the currently used Airbus 340-300. This will add about 90 more seats to the daily non-stop route. The Boeing 777-300ER operated by Emirates Airlines features 354 seats in a three-class configuration: eight seats in First Class, 42 in Business Class and 304 in Economy Class. Some of the features for the new aircraft include lie-flat comfort to travellers in the First & Business Class cabins and signature First Class private suites. According to the latest statistics released by the Department of Environmental Affairs and South Africa National Parks (SANParks), South Africa has lost 587 rhinos to illegal poaching since the beginning of 2013. Of the rhinos poached, 362 rhinos were killed in the Kruger National Park, 60 in North West, 60 in KwaZulu-Natal, 59 in Limpopo, 39 in Mpumalanga, 3 in Gauteng and 2 in the Eastern Cape and in the Marakele National Park respectively. To date 167 alleged rhino poachers have been arrested in South Africa since the start of 2013. Since the beginning of the year, 66 alleged poachers have been arrested in the Kruger National Park, while 37 in KwaZulu-Natal and another 36 have been arrested in Limpopo. A new campsite, located not even 3km from Etosha's Von Lindquest Gate, is currently being built in the Onguma Private Game Reserve in Namibia. The campsite, which is expected to open by the end of September 2013, will have 25 camping units, a large reception area with a small supply store and a snack restaurant. The main areas of the new campsite are built with a view over a lovely waterhole. Most of the camping units will have individual ablution and cooking facilities, while some are designed to share a facility between two sites for parties that are travelling together. 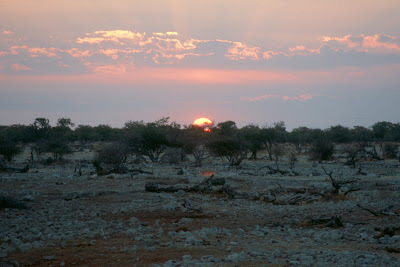 The 34 000 hectares Onguma Private Game Reserve is situated on the eastern border of Etosha National Park. The reserve is home to over thirty different animal species, including kudu, giraffe, eland, oryx, hartebeest, zebra, impala, black rhino, lion, cheetah and leopard, as well as to more than 300 bird species. Travelling with Qatar Airways after 01 September 2013? This is great news for you: Effective 01 September 2013, Qatar Airways will increase its checked baggage allowance on all routes worldwide. Economy weight allowances have increased from 23kg to 30kg while Business and First Class have each increased from 30kg and 40kg to 40kg and 50kg respectively. The number of bags remains the same and dependent on the type of ticket purchased. The increased weight allowance does not apply when travelling to points that are regulated by per-piece allowance. Passengers who have travelled prior to 01 September 2013 will be able to take advantage of the increased baggage allowance on their return trip if travel is on 01 September 2013 or later. Qatar Airways will also publish new Excess Baggage rates in September 2013 which will also see an increase. We'll keep you posted! Qatar Airways is the national carrier of the State of Qatar. The airline operates services across Central Asia, Europe, Far East, South Asia, Middle East, North America, South America, Oceania and Africa. Destinations in Africa include Addis Ababa (Ethiopia, from 18 Sept 2013), Dar Es Salaam, Kilimanjaro (Tanzania), Entebbe (Uganda), Kigali (Rwanda), Nairobi (Kenya), Maputo (Mozambique), Johannesburg and Cape Town (South Africa). South African National Parks (SANParks), in partnership with the Department of Environmental Affairs, Provincial Department of Economic Development and Tourism and the municipalities of Agulhas and Overstrand, has completed the construction of a 1km boardwalk linking the Cape Agulhas lighthouse precinct with Cape Agulhas, the southern-most tip of Africa. The boardwalk, which is the longest in Africa, was build to protect the sensitive area around the southern tip from indiscriminate walking, to make the area more accessible to visitors, to provide a visitor friendly tourist facility and a quality experience, as well as to attract more visitors to Agulhas National Park and to extend the appeal of the park to local, regional and international visitors. According to SANParks, the new boardwalk is the first step in a massive infrastructure development plan to unlock the Cape Agulhas lighthouse gatewway precinct's full tourism potential and to focus attention on the sensitive natural environment. The funding to the value of almost R22 million has already been secured and planning and design has commenced. As part of the development, the precinct area will host full public facilities (ablutions and parking), a lighthouse museum, heritage centre, restaurant, vendor stalls and information services with the Cape Agulhas lighthouse remaining the main icon of the area. SANParks will invest a further R17m in the Agulhas National Park for the restoration of the historic Ratelrivier Homestead that acknowledges the deep history embedded in the area. The Agulhas Rest Camp, located about 10km from the Cape Agulhas lighthouse, will also be doubled over the next few years. South African low-cost carrier Mango will launch flights between Johannesburg and George, the administrative and commercial hub of the Garden Route, on 18 November 2013. Flights will be operated on Fridays, Sundays and Mondays with an initial frequency of one flight a day in each direction. The flights already opened for booking on 19 August 2013. Mango, or Mango Airlines, is a state-owned South African low-cost airline and a subsidiary of South African Airways. The airline, which is based at OR Tambo International Airport in Johannesburg, operates four new generation Boeing 737-800 aircraft between the major cities in South Africa. Mango is currently the only airline in Africa to offer on-board Wi-Fi. British airline Virgin Atlantic will resume its seasonal non-stop service between London-Heathrow (LHR) and Cape Town on 27 October 2013. The airline will be returning to Cape Town with daily flights from the very start of the season and, like in previous years, with four flights a week building up to daily flights for the peak travel period. Virgin Atlantic, based at Gatwick (LGW), Heathrow (LHR) and Manchester (MAN) airports, is Britain’s second largest airline serving the world’s major cities. We are still waiting for a current rhino poaching statistics update from the South African Department of Environmental Affairs, but in the meantime South African National Parks (SANParks) has confirmed that since the beginning of 2013 South Africa "lost 561 rhinos and Kruger lost 350. 65 out of 156 poachers were arrested in KNP [Kruger National Park]". We'll keep you posted! The Peace Parks Foundation just released a video about their involvement in the developments taking place in and around the one million hectare Limpopo National Park in the Great Limpopo Transfrontier Park. When the park was proclaimed in 2001, Mozambique requested Peace Parks Foundation's assistance in overseeing its development. Owing to human/wildlife conflict, a voluntary resettlement programme is relocating communities living in the centre of the park, while those in the park's support zone are being assisted with improving their livelihoods. The Peace Parks Foundation was founded as a not-for-profit organisation on 01 Feb 1997 by Dr Anton Rupert, HRH Prince Bernhard of the Netherlands and former South African president Dr Nelson Mandela. The mission of the Peace Parks Foundation is to facilitate the establishment of transfrontier conservation areas (peace parks) and develope human resources, thereby supporting sustainable economic development, the conservation of biodiversity and regional peace and stability. South African low-cost carrier Mango announced that it will commence a new seat rollout during August 2013. The replacement programme, through which the leg room per seat in the airline's carriers will get increased by between 6cm and 7.5cm, will last approx. until April 2014. According to Mango, the introduction of the new seats does not reduce the seat density of the airline's aircrafts and its 186 guest load remains consistent throughout the fleet. Mango's addition of two new generation Boeing 737-800 aircraft this month will be the first to sport the new seats and increased leg room on board. update (15 Jan 2014): According to aviation specialists ch-aviation.ch, Global Airways is currently in the process of obtaining its International Scheduled License (ISL). Once the ISL is issued (expected in the next two month), the airline intends to resume its 4x weekly servive from Johannesburg's O.R. Tambo International Airport to Miami's International Airport via Cape Town. Global Airways, an international air transport company from South Africa, is planning to resume its service between Johannesburg <> Miami (Florida, USA) via Cape Town. The airline will launch a 4x weekly service to Miami in either late 2013 or early 2014. In a statement appointing FuelStream its US representatives, Global Airways stated that flights will operated using an Airbus A330. The airline claims the route operated successfully up until 2004 when "political commitments terminated the service". Well, sounds like an interesting alternative or Americans looking to holiday in South Africa. Rwanda's national airline, Rwandair, and Air Uganda, a privately owned carrier from Uganda, signed a codeshare agreement. According to the agreement, both airlines offer at least 3 flights daily between Kigali International Airport (KGL) in Kigali (Rwanda) and Entebbe International Airport (EBB) in Entebbe (Uganda) and can sell tickets on either carrier with passengers being free to choose which flight to take at their convenience. Rwandair and Air Uganda will also work together to provide interconnections to other points in their respective networks, as well as to develop business and tourism in both countries. The codeshare agreement is effective immediately. update (11 Sept 2013): The parking garage at Jomo Kenyatta International Airport (JKIA), which was turned into a the "Temporary Arrivals Terminal", is expected to handle its first flight this afternoon. update (09 Sept 2013): Kenya Airways has shifted their regional flight handling at Jomo Kenyatta International Airport (JKIA) to Unit 3. All flights from Nairobi to Entebbe, Dar es Salaam, Zanzibar, Kilimanjaro, Mwanza, Kigali, Bujumbura, Addis Ababa and Juba leave from Unit 3. This change applies to Precision Air flights too. update (02 Sept 2013): Kenya Airports Authority (KAA) has updated its JKIA Information Center website. According to the website, Kenya Airways is operating from Unit 2, while most other airlines are operating from Unit 1&3. update (23 Aug 2013): According to Kenya Airways, the Kenyan Government had announced plans to build a temporary terminal by converting a parking garage into an arrivals lounge. This is expected to be completed by the end of September 2013. Furthermore, the Government would accelerate construction of the new terminal (Terminal 4) to be ready by 2014.
update (22 Aug 2013): Kenya Airways has just announced that their international departure operations, including their codeshare partners and customer airlines, moved back to Unit 2 with effect from today (22 Aug 2013). Consequently, the other airlines which were operating from Unit 2 moved to Unit 3. Following the fire incident that destroyed the International Arrivals Building at Jomo Kenyatta International Airport (JKIA) in Nairobi, Kenya, on 07 August 2013, operations have resumed at the airport with both domestic and International departure and arrival functions running. Despite that, the Kenya Airports Authority (KAA) advises passengers to confirm their flight schedules with their respective airlines before making their way to the airport. A map of the current airport layout can be downloaded here (pdf). Domestic departures & arrivals are at Kenya Airways Cargo Building at JKIA Cargo Area. JKIA has buses available to shuttle transiting passengers between International Arrivals/Departures at JKIA's Unit 2 & 3 and the Domestic Terminal at Kenya Airways Cargo Terminal, cargo area and vice versa. The servers of JKIA's Flight Information Display System (FIDS) were affected by the fire. The airport invites passengers to call their flight information desks on +254722205061, +254-020-822390 or +254-020-82230 Exts. 5214, 5203, 5167. You can also check online services such as Flightradar24 to track your flights.